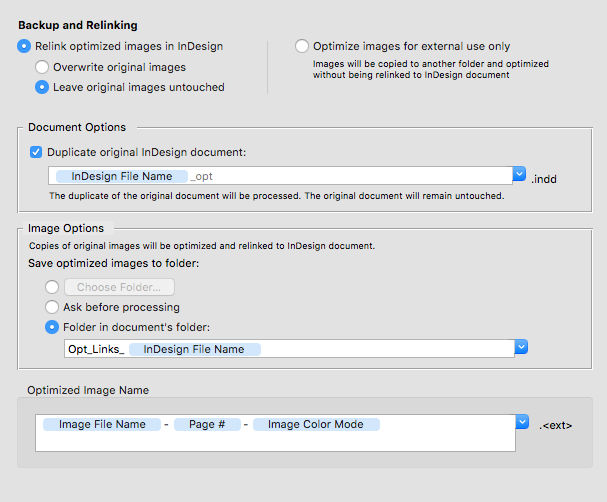 LinkOptimizer 5 supports macOS 10.7-10.14 and InDesign CS5-CC 2019. 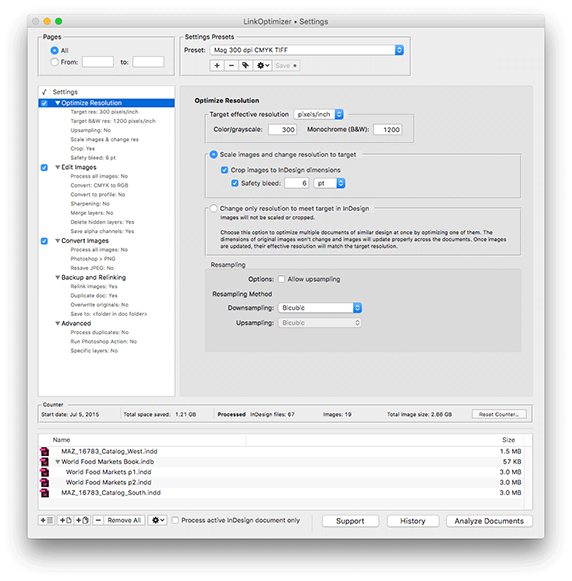 LinkOptimizer 4 supports only up to macOS 10.12 and InDesign CC 2017. To use with the latest releases, please upgrade to LinkOptimizer 5. LinkOptimizer 5 is now released. You can now process multiple InDesign files (including books). By upgrading to the new version you also get access to further new features and improvements that we will keep adding on a regular basis in free updates. LinkOptimizer allows to dramatically reduce the size of InDesign job, cut down on processing time and reduce production costs. LinkOptimizer will automatically reduce the image resolution, scale and crop the images in Photoshop according to their dimensions in the InDesign document and the target resolution specified, and reimport them to InDesign at 100%. 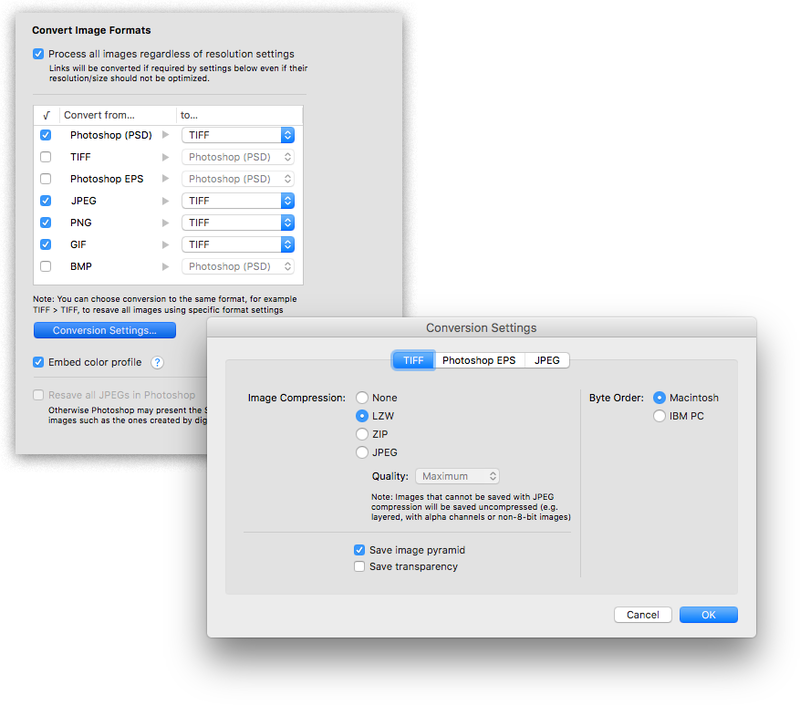 Automatically convert linked images into desired file formats (JPEG > TIFF, PNG > PSD etc.) with various conversion settings. 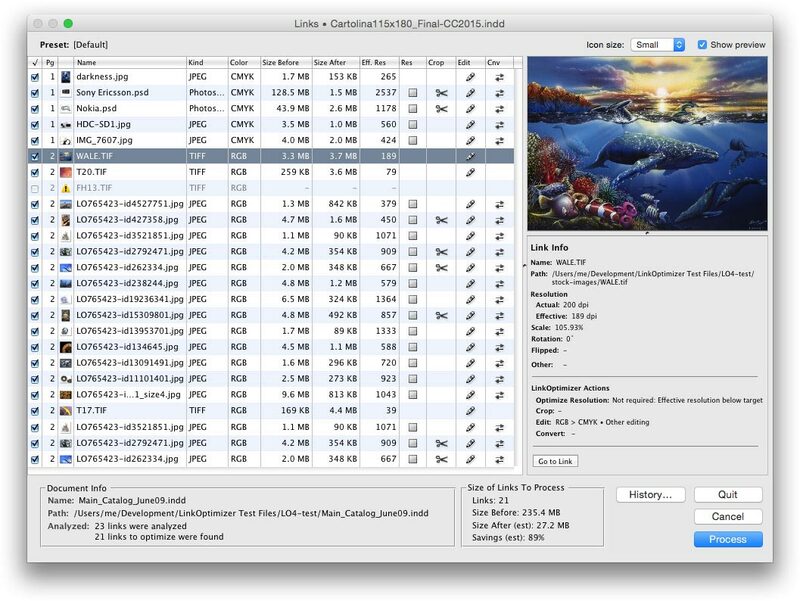 With LinkOptimizer, your files are always safe: you can either backup original images, or work with their copies. You can also optimize links for external use, such as web design, without relinking them back to InDesign at all. View detailed link info along with LinkOptimizer actions and projected file size. Run selected Photoshop Actions on each image during processing. improvements that will continue to be added on a regular basis in free updates.